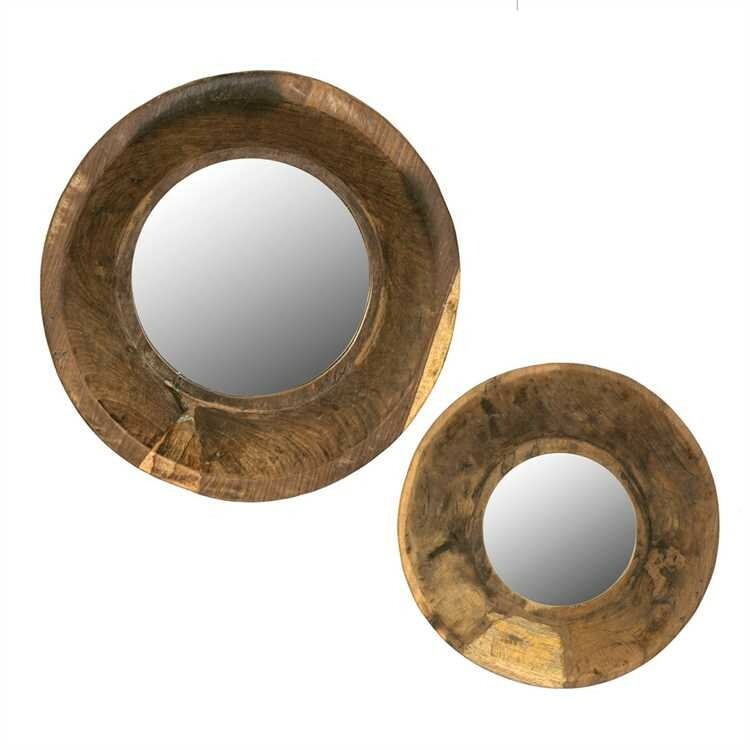 Round Mirrors with vintage wood bowl frames. Each mirror will vary In size and finish. Set of 2 (16" and 12").